Think about it! The exam syllabus has A LOT of information in it….lots of words and sentences to make life “easier” for people but unfortunately a lot of the words make it a sluggish read if you are not an experienced speed reader. Worse still, if you are not from a process-oriented background used to standards and regulatory language, it could bog you down and prohibit you from adequately covering majority of the syllabus for the exam in 1 month let alone 1 week. This solution on the other hand will sensitize you to the PM dogma and all ITTOs in a very short amount of time!!!! IN FAR LESS TIME THAN it would take in a typical 1 week 35 hour course, you could cover the entire gamut of key-relevant information! Imagine that! You could review the syllabus content MANY TIMES over with this content in the same time and find weak areas while others would only just be getting started!!!! WOW! Think about the time savings and value in this!!!!!! This is an ABSOLUTE VALUE-ADD! Get on the band-wagon and get this great solution to access on your iPhone, Galaxy, Tablet or Laptop. 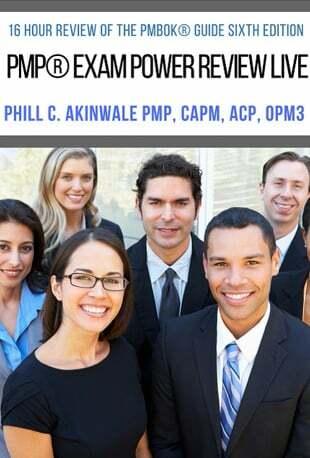 Watch round the clock and get PMI-STICATED towards your PMP® Exam success. Repetition of this will quickly aid your recall and put you on a trajectory for success!